Mr. Helmsing has a civil and criminal trial practice which focuses on product liability, complex commercial litigation and white collar criminal allegations. In terms of his product liability practice, he has extensive experience representing both manufacturers and distributors both throughout Alabama and regionally. These cases have involved a variety of products, including prescription and over-the-counter drugs, medical devices and products, consumer products, specialty products, agricultural and industrial equipment, and toxic substances. He has represented clients in a number of coordinated and consolidated proceedings pending in multiple states and districts. Mr. Helmsing has written and lectured on a wide range of product liability issues over the course of his career. In addition to his product liability work, Mr. Helmsing routinely handles complex commercial litigation and regularly counsels clients regarding these matters outside the scope of formal litigation. 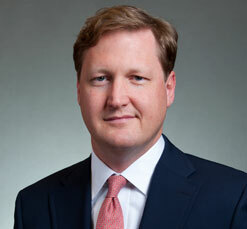 He has prosecuted and defended claims involving multi-party contract disputes, procurement disputes, shareholder disputes, derivative litigation, corporate and partnership disputes, and allegations involving workplace safety violations. In his criminal practice, he represents businesses and individuals against a broad range of white collar criminal allegations. Mr. Helmsing frequently represents clients in connection with accusations of bank fraud, mail fraud, conspiracy and criminal anti-competitive activity. He regularly represents clients in connection with governmental investigations, both civil and criminal.